Many years ago Peter owned a small general contracting firm. I first encountered Peter when I managed housing programs for the City of Milwaukee. He was 31 and I was 27. In those days the technology didn’t exist to easily facilitate year round housing rehab so from January – February Peter went south and lived on an island. I thought the life he lived was pretty cool. But how did he do it? 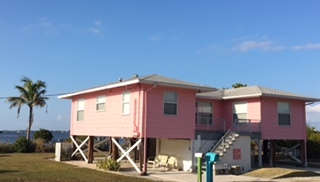 His grandmother purchased a Florida-style home in the late ‘30s before anyone knew gulf front property would have value. The home is an original Florida-stilt home reminiscent of a Bay View cottage – on stilts. Stilt homes were built (and are still built) as protection against flooding. It isn’t much of a home and the home itself probably has a value of $100,000. The lot is worth $1.5 – 2.0 million (Mark Twain: “Buy land, they ain’t makin’ the stuff anymore.”) Sadly, it’s a matter of time before the home is torn down and replaced. The island was settled in 1889 and by 1928, a ferry service from the mainland carried food, supplies, workers and visitors to the island. It was affordable for Peter’s grandmother and gave her and her family a place to get away from Wisconsin’s winters. In the early ‘60s a bridge/causeway was constructed to more easily bring people and supplies to the island. Significant population growth occurred in the ‘70s, which – other than the 2007 real estate recession – caused home values to increase dramatically. A new causeway replaced the old in 2007. Peter’s grandmother wasn’t thinking investment or appreciation when she bought her home. She just wanted a place to live that was warm when Wisconsin was cold. Peter now spends 4 months a year on the island. Inheritance. Thanks grandma. 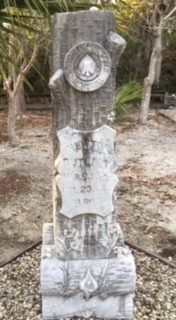 I visited the island graveyard where early settlers have settled. I don’t know if Peter’s grandmother is buried there but I do know thatmany grandsons and granddaughters are the beneficiaries of relatives buying real estate way back when. Sometimes luck has its own reward. I tell this tale because it’s cold in Wisconsin and maybe a warm tale will help pass the time. My grandmother bought property in Cooperstown Wisconsin, not Sanibel Florida, so there is no tale there. C’est la vie. Seamus and I remain available to discuss your real estate questions, want’s and needs over a warm cup of coffee. We might even have a real estate tale that will enlighten you about the correct way to buy a home.